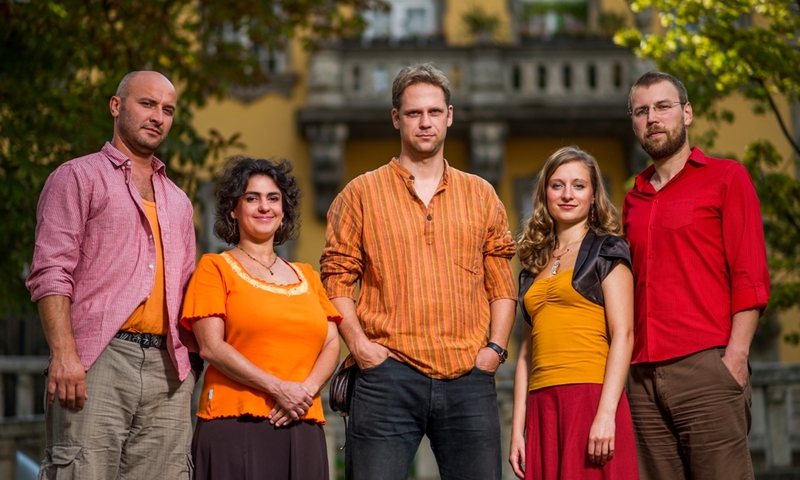 Tázló band from Budapest performs csángó-Hungarian folk music form Moldva. The csángó music is fascinating and full of energy. The dance rhythms and lyrical songs have an ancient atmosphere. The csángó-Hungarian minority lives in the eastern part of Romania. We play their traditional folk musical instruments. The flute, the violin, together with the drum and the koboz (a kind of lute) make a unique sounding, completed with the voice of our singer. 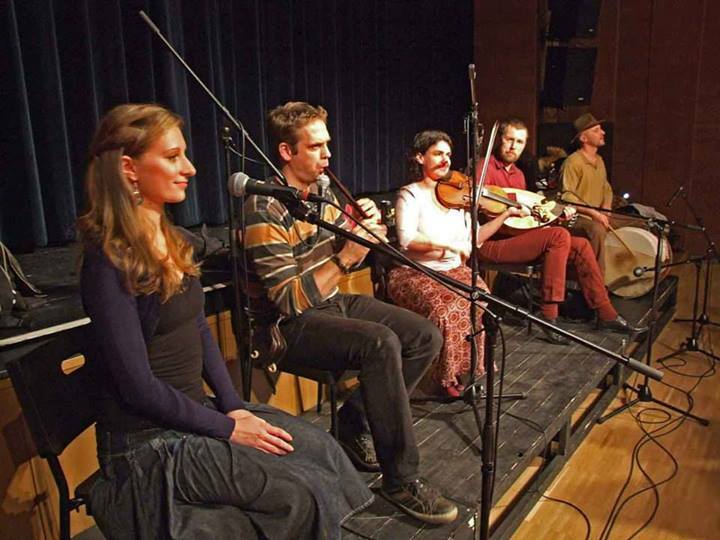 We have been collecting, studying and playing Moldavian folk music for the last 20 years. We build up our music through using the csángó melodies freely. In our adaptations we combine the modern with the traditional. Tázló band plays concerts and folk dance workshops (dance houses). Last summer we played on several hungarian festivals and events, as Múzeumok Éjszakája, Művészetek Völgye, Mesterségek Ünnepe, etc. We also participated on the Hungarian Days in Marienbad (Chech Republic). Every second Friday we play in our regular dance house event in Budapest. We play annually on the Csángó Bál, and the Táncháztalálkozó, which are the biggest folk music events in Hungary. In 2016 we won the Dance-house Guild’s Award as the best dance house band in Hungary. 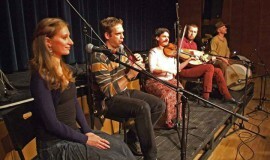 We usually invite other folk and world music performers in our club. It was a really good experience to play together with Cimbaliband, Rackajam, Zuboly, Góbé and Muzsikás in the last years. From the last autumn we continued our dance house club with the support of Halmos Béla Found. We invited iconic persons into our club as Márta Sebestyén and Ferenc Sebő. We also organized dance house events together with other csángó dance house bands. These common events were the most successful.